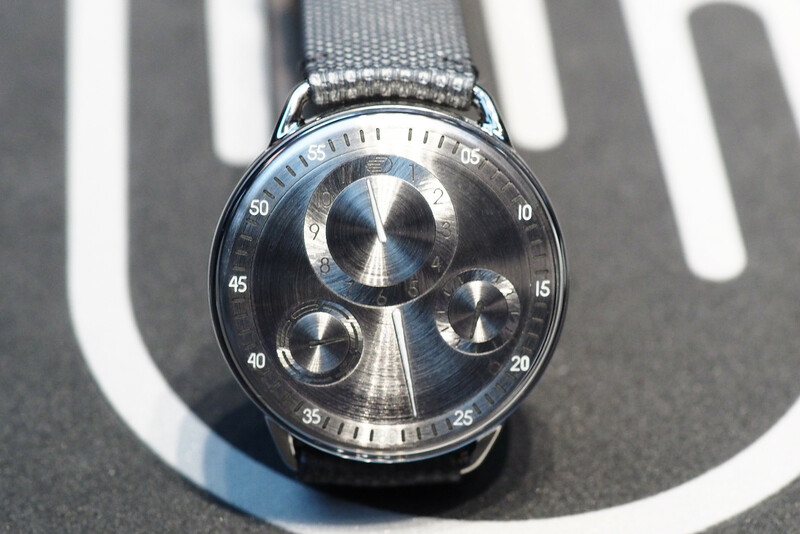 Founded in 2009 by Belgian industrial designer, Benoit Mintiens, Ressence is watch company that has not just invented a new complication – but an entirely new way of displaying the time on your wrist. The name is a combination of Renaissance and essence, which is an apt name for a company bringing about serious innovation in watchmaking while maintaining the simple essence of timekeeping. 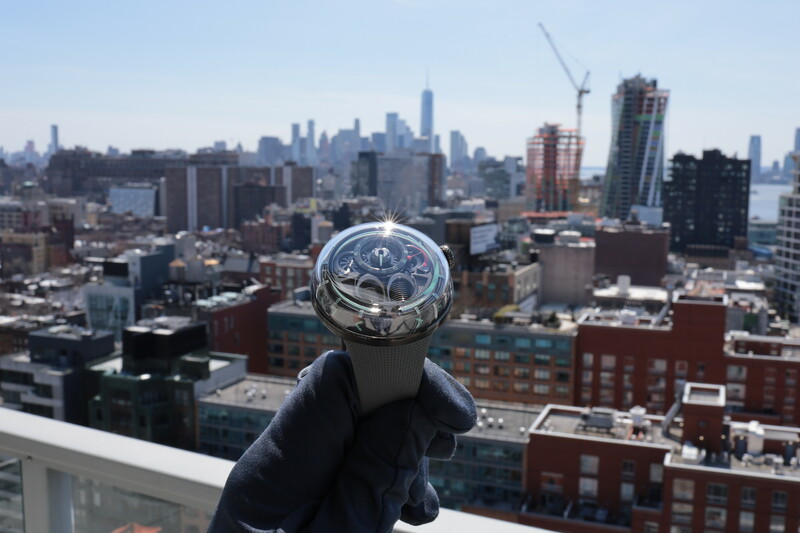 Instead of traditional watch hands, the Type 1 uses spherical discs with engraved indications that act as the hands. Each disc has a separate function, just like a traditional regulator watch. For the Type 1, there are discs for hours, minutes, seconds and the day of the week. These discs revolve and point to their respective engraved ring (the numbers on the outer chapter ring are printed), indicating the current time and day. Underneath is a heavily modified Swiss automatic mechanical movement with a patented crownless winding and time setting mechanism. The movement consists of 208 components, 56 jewels in total, with the module alone made up of 107 parts. Like a modern Swiss automatic, the watch beats at 4Hz and has a 38-hour power reserve. However, instead of winding the watch with a crown, you actually grip the edges of the case and turn clockwise or counter clockwise, and as you do turn it, all of the discs rotate in unison until you get to the desired time and day. As you set the watch, the movement is simultaneously wound. 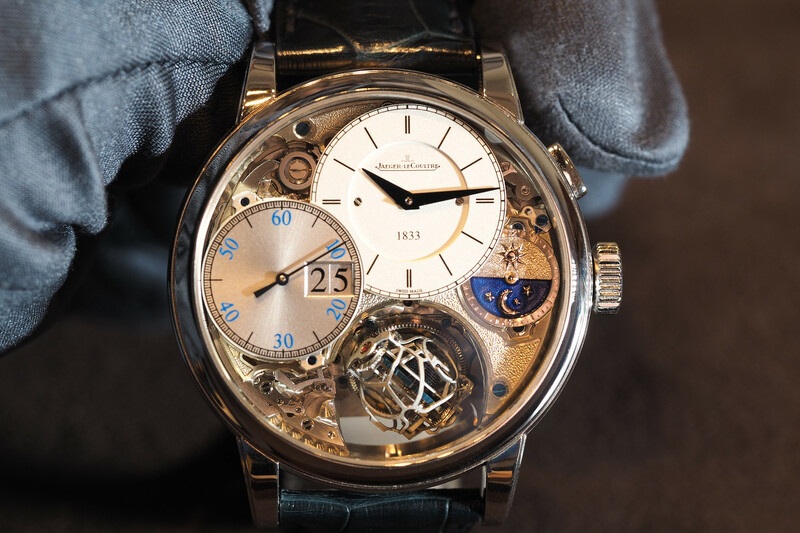 Once the movement is going, it stays wound via the automatic rotor you see on the caseback. The rotor completely covers the movement, but that is all right, as the movement is not designed to be viewed, as the focus here is on the simplicity and the beauty of the dial and case, not the finishing of the movement. That brings us to the dial and case. The fully polished cases feature wire lugs and measure 42 mm in diameter by 13 mm thick. The dial has no bezel, instead, the entire top of the case is protected by a domed sapphire crystal. The back also has a domed sapphire. Each dial is made of nickel silver, and this is where the Type 1 models are differentiated. You can choose from a variety of cool dials such as matte black, matte white, brushed metallic, sandblasted champagne and guilloché. 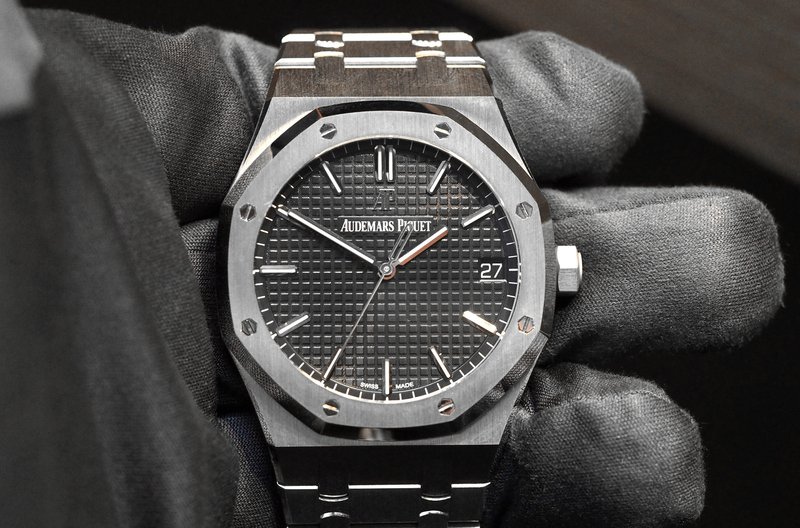 Available in titanium (75 grams) with a matte, sandblasted or brushed dial ($20,600), in titanium with a guilloché dial ($26,600), or in rose gold ($33,800). In addition to the wide variety of neutral colored dial finishes, the Ressence Type 1 watches are available with a variety of uniquely textured straps that are designed in the same innovative manner as the watches themselves. If you cannot already tell, we like Ressence, a lot. Whether you are a watch collector, an enthusiast, a tech guy or just a person who appreciates good design – it’s hard to deny the appeal.